LAS VEGAS MAYOR SNUBS OBAMA……. – The Tundra Tabloids……. LAS VEGAS MAYOR SNUBS OBAMA……. 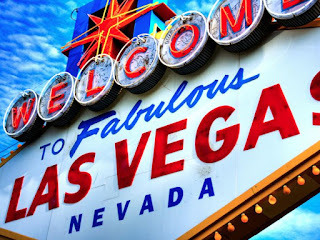 Obama advises people not to visit Vegas twice, and that’s enough for the mayor of the city to say “get bent” and turn down invitation to meet ZERO when he comes to town later today. KNTV: Mayor Oscar Goodman has refused an invitation to meet with President Obama when he arrives in town on Thursday. Mayor Goodman called President Obama a slow learner after he told Americans not to blow money on a weekend in Las Vegas if they were saving to put their kids through college. “I’ve got other things to do quite frankly for my constituents here in Las Vegas who rely on me to do the right thing as a mayor,” explained Mayor Goodman. Previous Post Previous Post MAN TARGETS IRS WITH SMALL SINGLE-ENGINE CIRRUS SR 22 PLANE……. Next Post Next Post FULL ALLEN WEST SPEECH: MUSLIM TERRORISTS ARE DOING EXACTLY WHAT THE KORAN SAYS…….